In what can be seen as a minor, yet significant move, Microsoft has transformed the way users interact with its AI voice assistant Cortana. Supposedly, saying ‘Hey Cortana’ is a mouthful for users, which is why Microsoft has truncated the voice command to a simple ‘Cortana’ for bringing up the assistant. First reported by Windows Central, Microsoft has now made it hassle-free to call upon its virtual assistant while using its first-ever smart speaker, the Harmon Kardon Invoke. 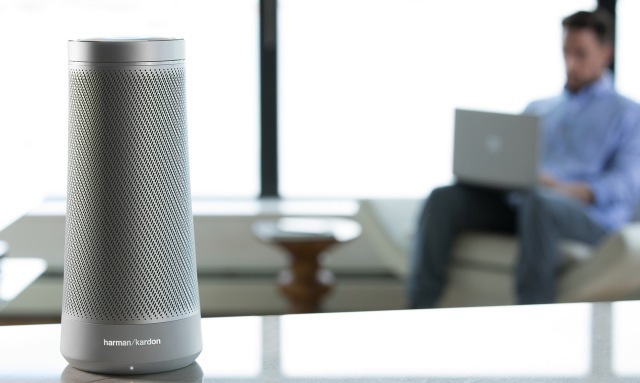 The command change is currently live only on this particular speaker and is yet to make its way to other platforms such as Windows 10, Android or iOS, where the assistant has been accessible. And while saying out ‘Cortana’ will activate the Invoke speaker, the previous command i.e ‘Hey Cortana’ hasn’t been dropped as yet. You can use the latter followed by a command to get the virtual assistant to answer your queries as well. It also reduces the number of syllables to just three from the previous four to match Amazon Alexa, which is also being tightly integrated into Windows PCs. This change, though small, should save some tongue-twisting for users over beckoning the virtual assistant. This change, however small it might be, reaffirms the simple fact that Cortana isn’t dead and Microsoft is looking to pull it back from the depth to the surface and make the voice assistant relevant again. In line with the same, Microsoft had partnered with Amazon to integrate both of their AI assistants into each other’s platforms and devices. It has already taken the wraps off the first batch of Windows 10 laptops that’ll come loaded with Alexa’s smarts from the get-go. The removal of ‘Hey’ from the command is just a small step towards summoning Cortana, in a manner similar to what consumers do with Alexa. There is currently no word on when the assistant integration is going to arrive, but Microsoft is said to be testing it internally. So, does the future of Cortana look any brighter to you now? Share with us your thoughts in the comments below.